Everyone seems to be tiring of Scott Pruitt’s many scandals, but now it seems people are even getting sick of his crappy policies. A group of 103 Congress members that includes Republicans sent a letter on Thursday to asking the Environmental Protection Agency (EPA) administrator to kill a rule he proposed that would limit the science the agency uses to make decisions. The rule is purportedly about increasing transparency in science. In reality, many experts say it would reduce the sound science available to the EPA to make rules. Outgoing Rep. Lamar Smith (R-Texas) has been pushing a version of the rule as a bill for years, but it’s never come close to passing. 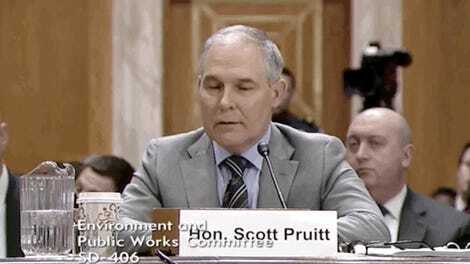 Pruitt is attempting to take Smith’s basic premise and make it an EPA regulation. Smith’s idea never sat well with his colleagues as a bill, and it hasn’t sat well with many of them as a proposed EPA rule either. 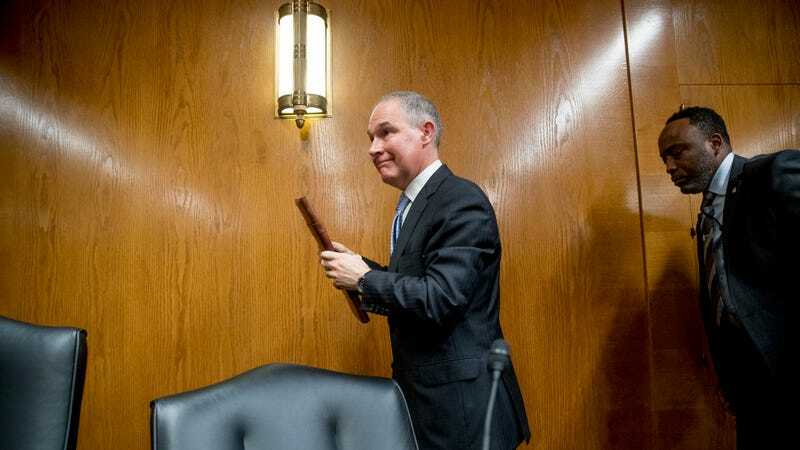 That’s why 103 members of Congress led by Representatives Diana DeGette (D-Colorado), Dan Lipinski (D-Illinois), Paul Tonko (D-Illinois) and Don Beyer (D-Virginia) have sent Pruitt a letter “to express grave concerns” about the proposed rule, and asking him to can it. The signatories are largely Democrats, but four Republicans have signed on as well: Representatives Carlos Curbello (R-Florida), Ryan Costello (R-Pennsylvania), Ileana Ros-Lehtinen (R-Florida), and Brian Fitzpatrick (R—Pennsylvania). All four are also members of the bipartisan Climate Solution Caucus. While its heartening to see a degree of bipartisan condemnation here, it’s also too bad more of that group didn’t sign on to oppose a rule that will have wide-ranging impacts not just on climate change but public health safeguards. Member of Congress join a group that includes environmental justice advocates and scientists opposed to a rule that they say will fail to achieve its goals. The basic way Pruitt wants to increase transparency is by not allowing studies without publicly available data to be used in rule making. This may sound well and good, but there’s some data that simply needs to be kept private. As the letter notes, many public health studies could be excluded because not all the data is public. It’s not because the science is shoddy, but rather because making confidential medical data public could identify participants. Studies like this underpin EPA rules that protect Americans from toxic substances in their drinking water, particulate matter in the air, and a host of other environmental maladies that can cause health problems. Rather than increasing transparency in science or protecting public health, this rule is about helping Scott Pruitt fulfill his core mission of giving industry studies greater weight in decision making. Whether the letter will have any sway is unclear, though I’m not holding my breath. If you have thoughts on the proposed rule, you can share them with the EPA through Aug. 16. There are 149,945 comments and counting.